When you’re just starting your ecommerce journey, there are a wide range of useful tools which you can use to create your own online store and grow it into a successful e-commerce business, When you know the best tools for ecommerce you’ll have a much easier time starting your own store. We’ve created this article to help make your life easier by breaking down all of the essential tools which you’ll need to start your own ecommerce business. Cross-border E-commerce business are mainly about three things: create order, order management and feedback . ChinaDivision is a professional orderfulfillment service provider where you can combine all the useful tools below to boost your business. Below are some tools for your reference. From an operations employee of a professional e-commerce company to a self-employed entrepreneur, amazon is still the first choice. with the flow of the large platform to help you resolve the flow of this big problem. Some people say amazon is hard to do now, can’t do list, can’t play black tech.. I want to say, this is the Chinese sellers crazy to exploit the research out of the strategy, is not what operational skills.This year, amazon’s review of illegal store closings killed a large number of sellers. After all, amazon is not for the people who want to make a quick buck. Amazon is for those who want to stay in business for a long time, and the platform is tightly regulated for sellers and very focused on user experience. Good products, the operation of the white hat, in amazon will naturally slowly do up. Want to make a quick buck, sell rotten goods, amazon will be a wave of these sellers wash off, after the accounting is amazon’s strength. The person that I contact doing ebay wants to turn to amazon, why? Because ebay is a complete physical operation ah! To put it bluntly, you don’t know anything. You go to work for a company and you put something on the shelf. You don’t learn anything. 2. Learn the traffic analysis, competitive product analysis, advertising analysis, and amazon SEO principles in terms of the internal operation of amazon website. Brand planning, how to operate off-site, off-site drainage and so on after the product line is planned. Amazon operation is more like a product manager. It should be planned and operated by itself from selection to operation, cost accounting and brand promotion. 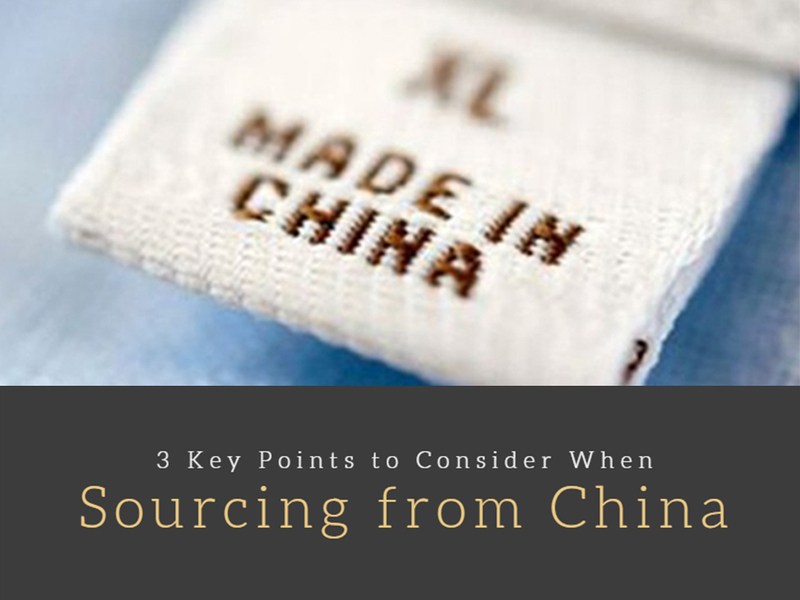 China is an ideal place to have products manufactured if an e-commerce business owner wants to get a high profit margin by sourcing products globally. Compare with US based manufacturers, the Chinese ones are difficult to beat in terms of price and quality. In addition, relaying on the developed manufacture industry, the fulfillment centers in China are more full-functional and affordable. The one-stop fulfillment service they provide can help the e-commerce business owners who source from Alibaba, Aliexpress, taobao or other China based suppliers to push their business to the next level with less hassles. 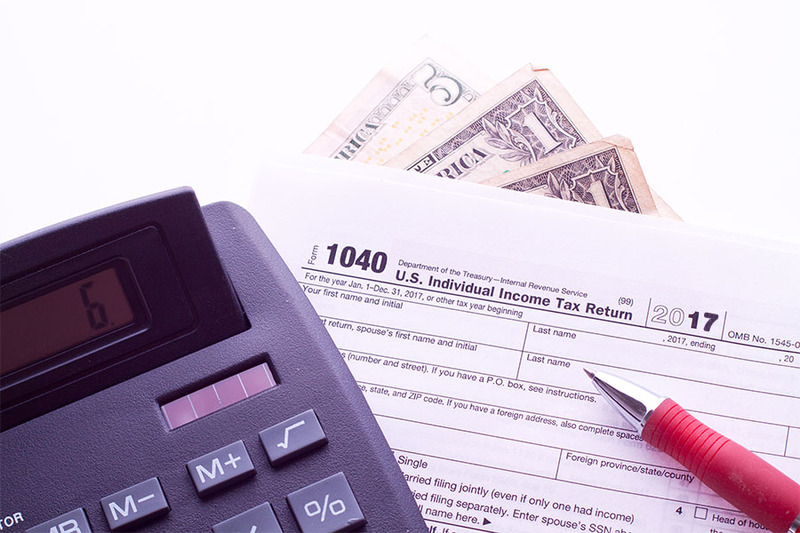 Despite these facts, there are these things to consider if you decide to source from China, otherwise you may find yourself suffering from unexpected financial losses. Don’t underestimate these two problems, they may become the deal-breaker. A lot of Chinese suppliers aren’t willing to (or can’t afford to) hire sales staff who are good at English, since they have tons of domestic buyers at hand. In this case, it will be harder for the supplier to understand exactly what you need. More than that, to be honest, Chinese people value personal relationships more than the spirit of contract. As a result, there are two options lying in front of e-commerce business owners who Sourcing from China, try to use simple words/phrases and confirm every small thing repeatedly, or cooperate with a local agent. As an one-stop order fulfillment service provider, ChinaDivision helps customers to communicate with the suppliers and ensures that neither the language barrier nor the cultural difference can influence the business. 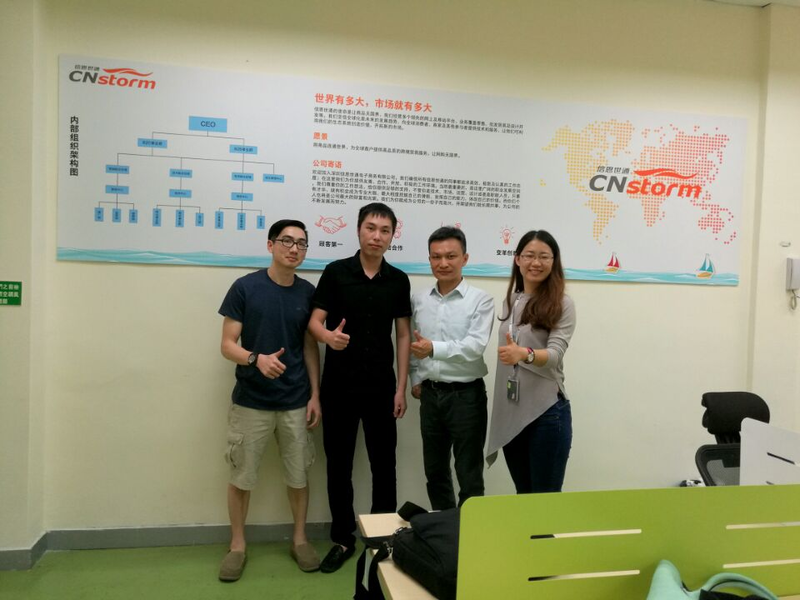 With the help of the sales manager who can speak English and Chinese very well, ChinaDivision customers can enjoy the order fulfillment service as seamless as an in-house fulfillment team. It is sad to say that China is famous for counterfeits and knock-offs as well as its developed manufacture industry, so it’s essential to protect your idea/design from being copied when dealing with Chinese suppliers. Don’t show your whole idea to random Chinese manufacturer you found online, don’t let one supplier manufacture, pack and ship all of your products either. It’s dangerous to let your supplier know how to make and how to sell your products, they can make their own and sell on AliExpress without hesitation. Manufacture parts and assemble in fulfillment center is a good idea. Have the packages and products manufactured in different places and let ChinaDivision do the kitting and packing for you. ChinaDivision not only provides kitting and assembly service, but also owns the developed warehouse management system(WMS) which is very suitable for integrating multiple suppliers. E-commerce business owners can easily manage the inventory from multiple suppliers with the organized user panel, enjoy affordable near-source fulfillment service and prevent the ideas and designs from being copied. Screening suppliers is a headache, being an e-commerce business owner who lives on the other side of the earth, you always have to beware of frauds and scams. Send samples. Once you get some winners after the lengthy screening, ask them to send you samples. By comparing several samples, you can choose the most suitable one. Sending samples not only helps to screen suppliers, but also an important way to test the package. Testing whether the product fits perfectly in the package and weighing them helps the business owner to estimate the actual product appearance and shipping costs. Have every batch of products inspected. Getting a satisfactory sample doesn’t mean all of the products will be equally good. A lot of e-commerce business owners get scammed because the samples are good, after ordering a lot of products from the supplier and waiting a long time, they end up getting a great pile of poorly made products at the door step. So it’s important to have every batch of products inspected. ChinaDivision helps customers to inspect the products and take photos, the e-commerce business owners can see what the products look like before the money/time consuming global shipping. This really minimizes the risk of getting scammed. Sourcing products from Alibaba and selling them on eBay, Amazon or other shopping websites is a proven e-commerce business model which brings considerable profits. Being e-commerce starters, a lot of online store owners choose to drop-ship from China directly. It sounds a convenient and money saving way to start an e-commerce business, but the business owner may find themselves suffering from different kinds of unanticipated problems. Unhappy consumers. Some consumers don’t like the ship from China products, or products with Chinese letters written on the packages/shipping labels. They presume that the products made in China or ship from China must be in poor quality, which is a sad thing to say for a Chinese. On the other hand, even for the consumers who have no bias against Chinese products, the fact that an online store uses drop-shipping may generate a low level impression and make the consumers place less trust in the store. An e-commerce brand has to show its capabilities and expertness to the customers, no matter it’s been established for a long time or not. With limited time and labor, the e-commerce owners can outsource this part of job to ChinaDivision, if he/she decides to not let the customers know that their products are made in China, ship from China or drop-shipped. ChinaDivision can provide the professional packing and special shipping methods that will not show any sign of shipping from China. Unprofessional packing. Drop-shipping the products with complicated SKU(such as clothes and accessories) can be tricky, since the suppliers in China are in responsible for picking, packing and shipping to the consumers, once they made mistakes or being unprofessional, the consumer will receive the wrong products. Some online sellers who drop-ship even give up selling these products just to prevent the possible unprofessional packing and high mistake rate. 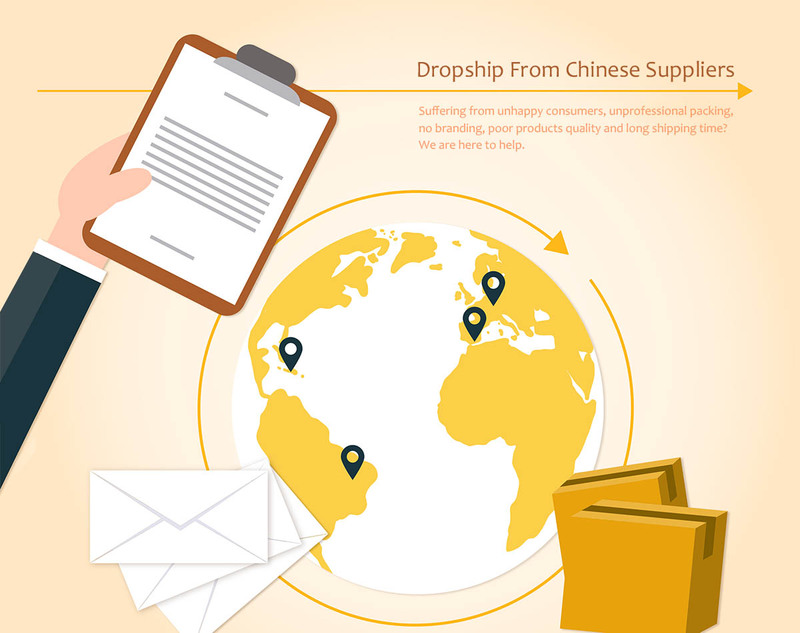 The drop-ship suppliers in China have to deal a lot of orders every day, but their main task is still to sell their products, drop-shipping is just their supporting service. The e-commerce business owner who has concerns about the drop-ship suppliers’ expertise in packing and shipping can try to seek help from ChinaDivision, as a dedicated order fulfillment company in China, ChinaDivision can do the same job more professional. Poor products quality. Since the store owners don’t have the chance to inspect the products before shipping, the consumers may receive very cheap-looking products. Although the online store owners always order small quantity of samples before listing the products in the store, the products of different batches may have different quality or texture. It is difficult to do the quality control strictly if the seller can’t inspect the products. If an online store owner has trouble to find a drop-ship supplier he/she can trust enough, he/she can outsource the product inspection to a third-party. ChinaDivision will receive, count and check with the orders before putting the products on shelves, and inspect the products again before shipping them out. Long shipping time. Long shipping time is the problem that the online store owners complain the most, some of them even say that drop-shipping means “takes 30 days to deliver or costs £30 for quick delivery”. This situation has been improved since a lot of drop-ship suppliers on Alibaba start to support ePacket shipping. But what if your supplier only supports the slow shipping methods or you want an even faster one? ChinaDivision can provide more flexible shipping methods than the drop-ship suppliers, let the supplier send the products to ChinaDivision warehouse in Shenzhen, China, and ChinaDivision will recommend the most suitable shipping method according to the online store owners’ needs. We at ChinaDivision, a leading provider in e-commerce business, are dedicated to serving all your demands regarding the fulfillment of your e-commerce orders. We recognize your demand for China warehousing, product sourcing and worldwide shipping, since the ordering of product from China has sky-rocketed. When you have an order by your side, we will pick up that product and store it in our warehouse and will send it to you on the appropriate time you will offer. It is as simple as that. We provide you with our best and quality services at a reduced rate, which will help relieve your anxiety and you can devote more time in other paraphernalia of your business. We are extending our offer to countries in North America and Europe to meet their demand of e-commerce order fulfilment. ChinaDivision simplifies your order fulfillment with the most accelerated and advanced technology to accomplish your demand of raw material or finished products. As an entrepreneur, you have to think about the many edges of your business, realizing your customer’s targets being one of the important among them. Targeting your clients’ order automatically brings in a number of other appendages like processing of the order, warehouse management, packaging and shipping of the product and then delivering it to the customer.These long processes are a pretty tedious one if you try to realize it alone. This is why, we at ChinaDivision offers you our helping hand in fulfilling your e-commerce orders. When we pick up an order from the trader or merchant with a definite quote of amount, we buy that product from the producer, which is then stored in our free warehouse which doesn’t include any cost from your side. After that, when we have received the order to be delivered on a prefixed date, we deliver that product through our shipping company either to you or directly to your customer. As simple is our service, the more it is made easy for you to reach us. We are just a click of a button away from you; quote us at a negotiated rate and we will do the rest. For your added benefit, we have opened a 24 hours constant connect services where the executives will deal with your order-related queries and handle your order via e-mailing services. Why should you choose ChinaDivision? To be very frank, there are other thousands of e-commerce order fulfillment website. But still why should you opt for ChinaDivision? a) We not only promise, but also show you our efficiency in accomplishing your order at a much faster rate and that too with a comparatively low cost than the rest. b) We save your time by shouldering the responsibilities of meeting your order requirements, so that you can allot more time to look at other arenas of your business development. c) We offer discounts on domestic and international shipping if we have a lot of orders to fulfil. We offer cheapest international shipping than the other e-commerce business. d) We have our parcel facility present at the doorstep of the Hong Kong and Shenzen international parcel processing centre which reduces the transportation time, thereby cutting back your time and money. e) We not only pick up orders, but take utmost care to store it in our free warehouse and in processing, packaging and shipping the products on a prefixed time, which saves you from allotting time to logistics management. f) We also provide you with greetings cards, flyers, newsletters and attach you to the particular shipment product as an aid to your promotional marketing and improve your relationship with your customers. g) Our Customized Returns Management department deals with any damage of the product and whether they are suitable to be returned to the catalogue. If any product has its seal broken, or any product damaged, we take that product back with providing you the full refund or return on investment. Why are we better than Amazon FBA or Shipwire? a) We are cheaper than the rest. You can quote us at a reasonable low price than them. b) We instantly receive your order and starts functioning. Amazon or Shipwire have often been criticised for dillydallying with the order fulfillment. c) They have a faltering customer care service which has received spat from the customers. But ChinaDivision takes care of that through the 24 hours customer care executives present on the opposite side. d) It is difficult to return a broken and damaged item back to Shipwire or Amazon, but you will face no such problem with us. Moreover, our packaging of the product will not let you complain of our service. So, the time has arrived to take advantage of our product sourcing services. Pair with us and let your business expand.